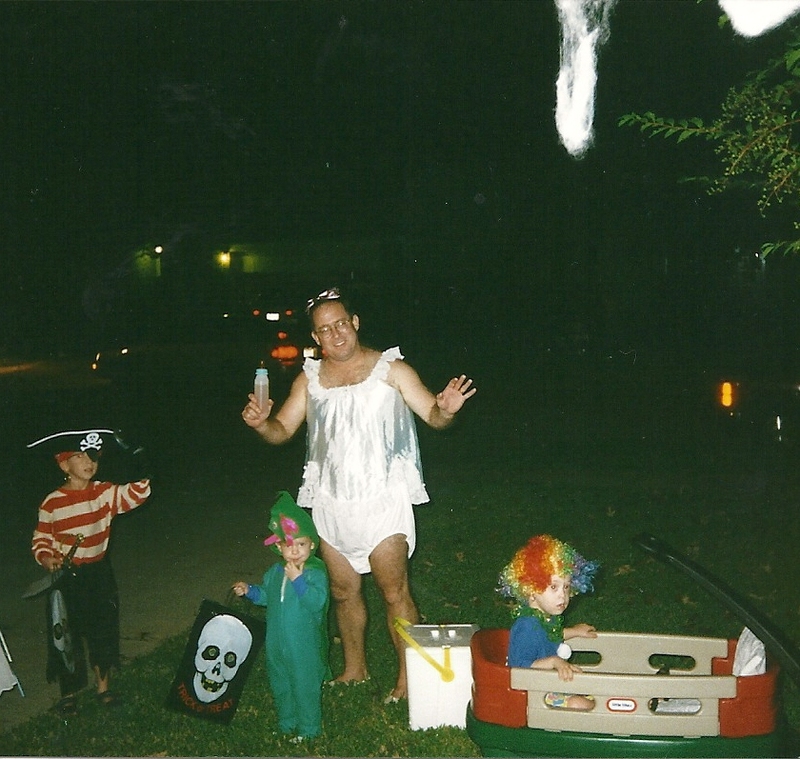 I wanted to lighten things up this week and show some of the fun Halloween costumes the boys have worn over the years. I love dressing up for Halloween. You can show your alter ego and reinvent yourself. It has been a blast creating looks and finding unique costumes for the boys. 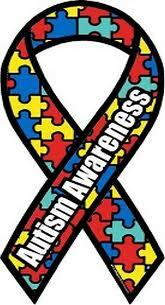 Having a child with special needs which include sensory issues can make it challenging. 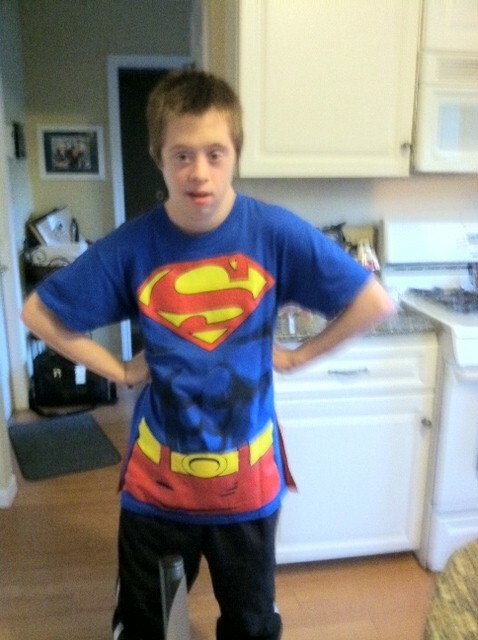 My son, Nick has Down syndrome and autism. He doesn’t tolerate masks, barely wears hats and gloves much less the extra accessories. Needless to say, he has never dressed up as a pirate. Here’s a look at some of the Halloween costumes the boys have worn. 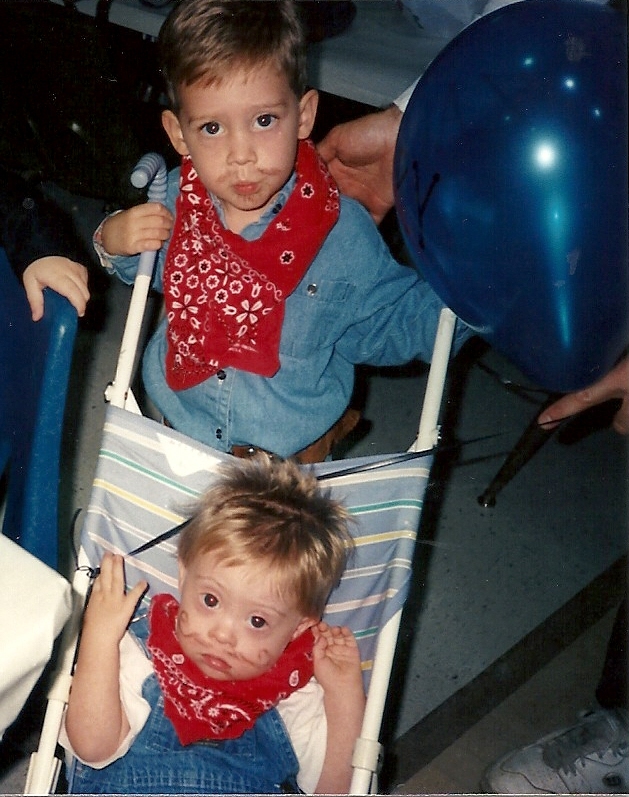 The following year we went with the cowboy theme. Hank and Nick like me, are native Texans. Yee ha boys……. The next few years we lived in Livermore, California. 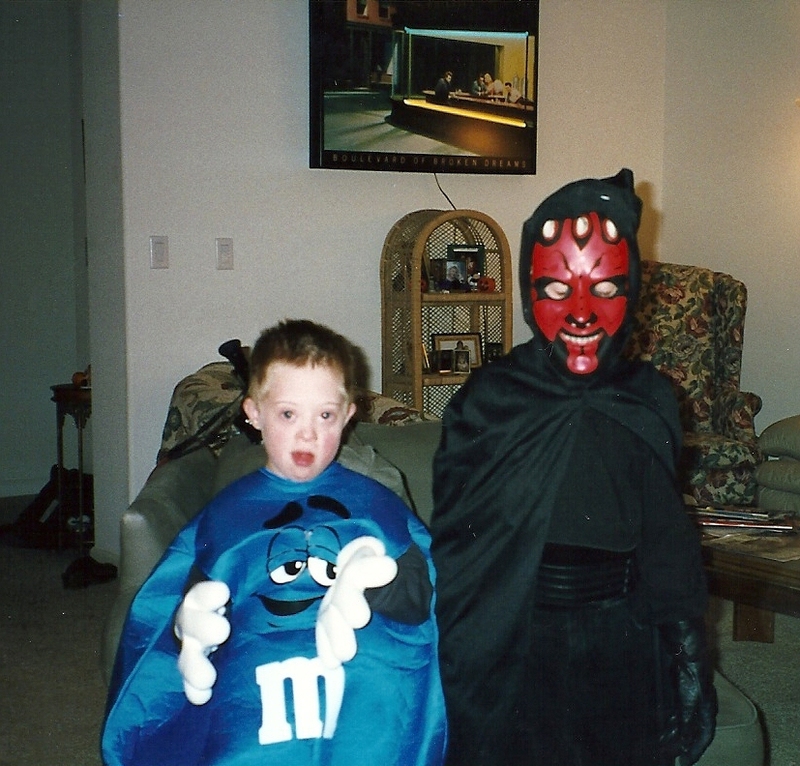 Hank looks menacing while Nick made a sweet, little M&M. Wonder how long those gloves stayed on Nick? Answer: Long enough for me to take the picture! Nick got such a kick out of his brother’s mask. 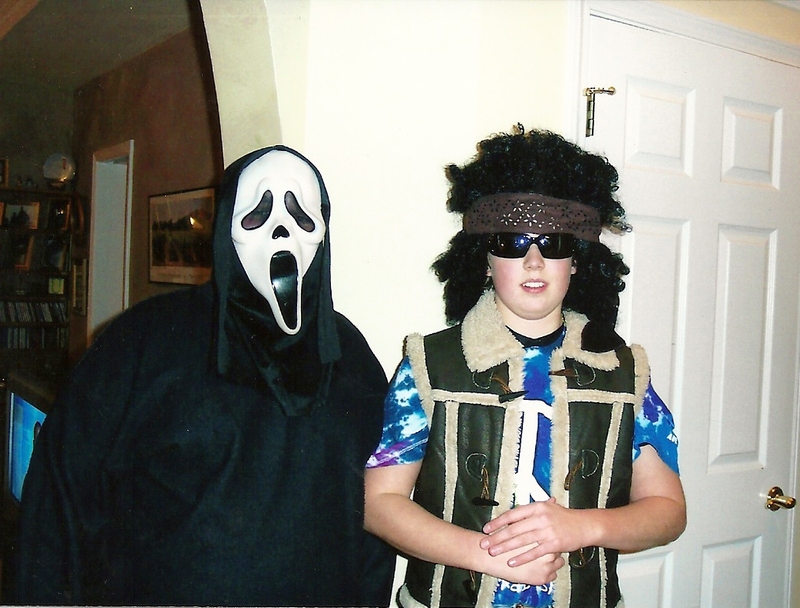 Hank was in the scary costume period like most boys go thru. Al is sporting his old Mardi Gras wig…. 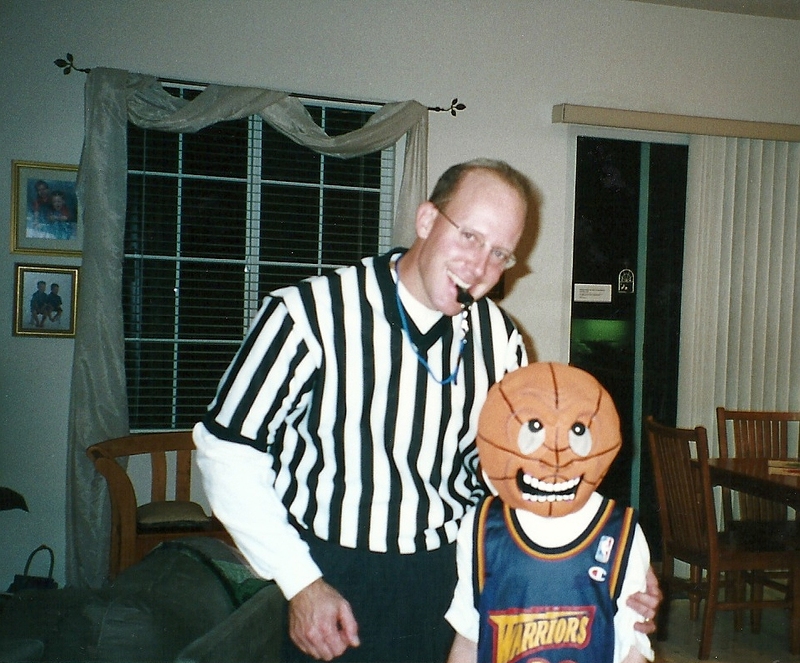 Halloween 2000 in Livermore, Hank with his Dad……. 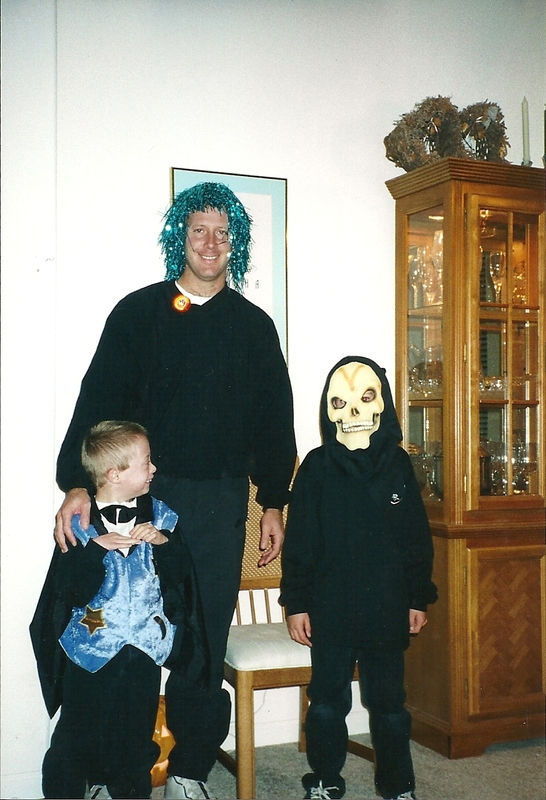 Halloween 2001, we had moved to Chicago where you have to bundle up for Halloween. Hank was so excited to be the creepy clown and scare his friend next door. Does anyone else have a creepy clown phobia? 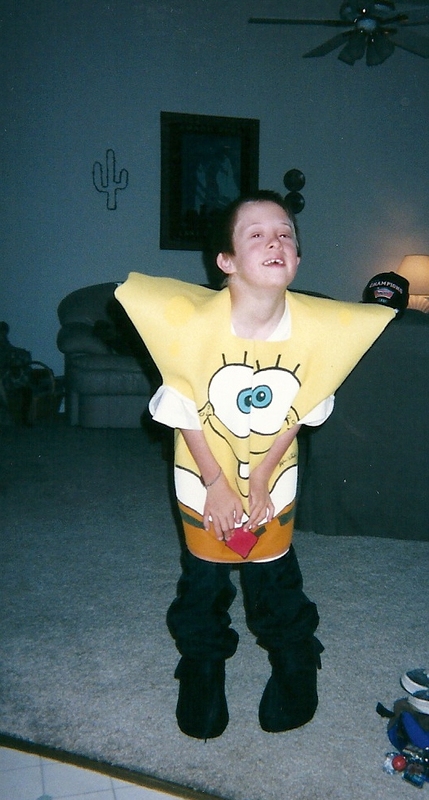 What I found for Nick with having Down syndrome and autism was the necessity to keep the costumes simple. There are many costumes that just slip over his head in one piece and without covering the face. These seemed to work the best for him. 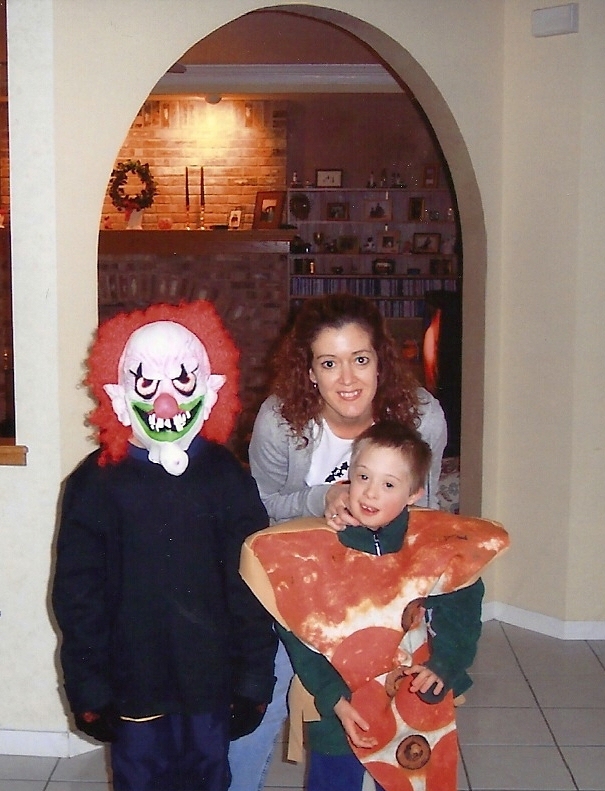 I had many neighbors tell me that they looked forward to seeing what the boys were going to be for Halloween. Hank in particular allowed me to get more creative during his early teen years. Hippy Hank looking groovy with his friend Bobby….. 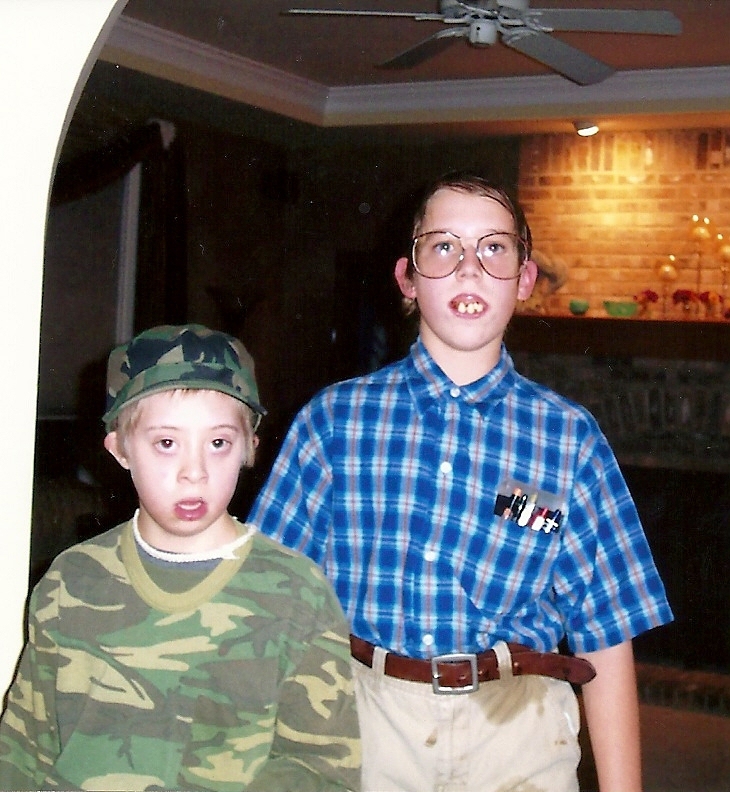 This could be one of my favorites, nerdy Hank. We had a lot of fun putting this look together. By the way those glasses were his Dad’s (the Clark Griswold look from the late 80’s) I’ve always saved all kinds of things like this over the years to enhance Halloween costumes. By Hank’s side is Seargent Nick ready to report to duty…..
Hank went a totally different direction the following year…………..
Halloween 2010, It’s Super Nick! 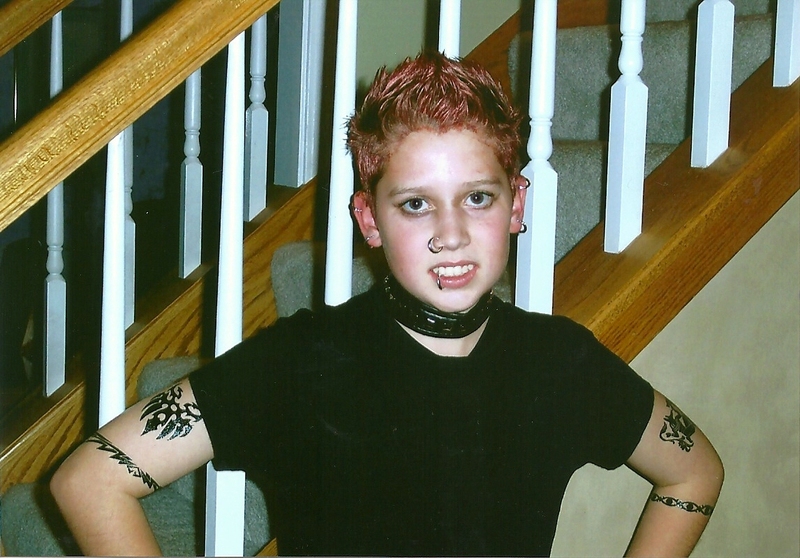 Nick is pumped up for Halloween this year…..
It’s been fun pulling out the photo albums and taking a trip down memory lane. The boys are all grown, but they both still dress up for dances and parties at school. 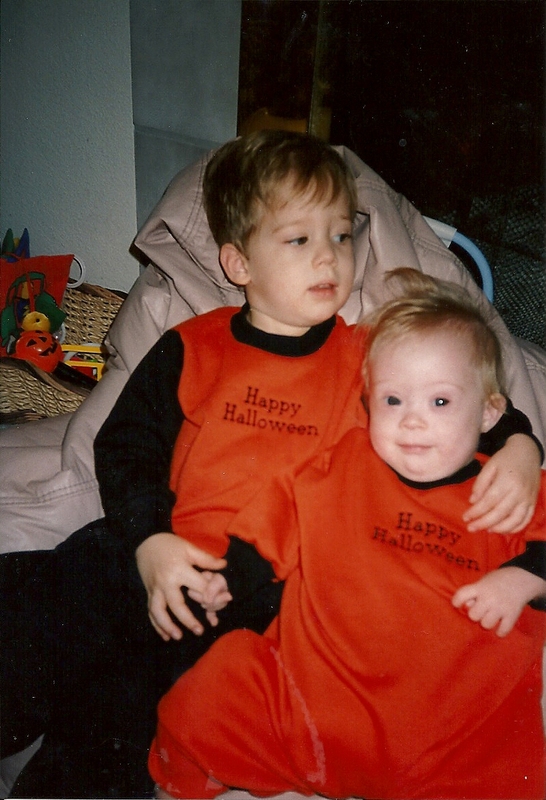 You can get pretty creative finding costumes for a child who has special needs and sensory issues. That’s what is in my noggin this week. Until next Monday, enjoy your Halloween under the full moon and watch out for those creepy clowns! 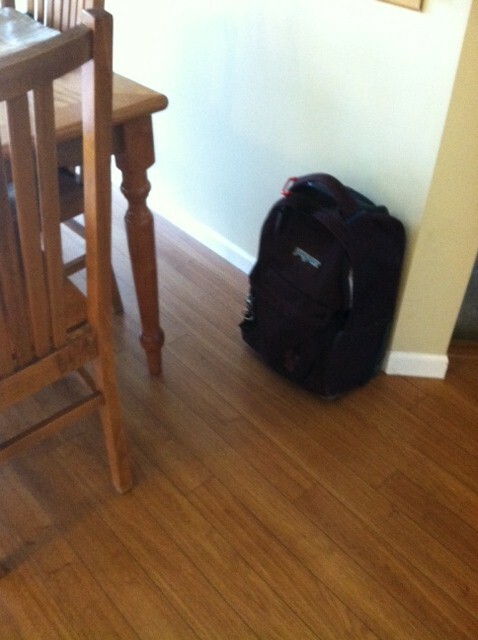 Confession…… I admit that I like things orderly in my home. When the piles of papers start stacking up to avalanche levels it makes me antsy. I have a few quirks that might make me borderline OCD. The labels of every can in the pantry are turned perfectly straight and all of the towels have to hang neatly on the rack. I can’t stand it when someone moves a piece of furniture and creates a new divot in the carpet. Yes, I have a thing about the carpet marks (more on that and the need to feel in control in Blog #1.) Okay maybe the CD collection is in alphabetical order (hey, it’s easier to find them that way.) And don’t even get me started on the autumn leaves that keep trickling into the house every time someone opens the door. I don’t consider myself a neat freak. I have no problem letting the folded laundry sit in the basket for several days. I have to be in the mood to put it away or someone is about to run out of underwear or socks. 🙂 So I suppose my son, Nick comes by some of these traits naturally. Though often I wonder how much of that is from my gene pool or autism. Last week the monthly cleaning people were here and inevitably I have to readjust the angles of all the picture frames and knick-knacks to my liking. 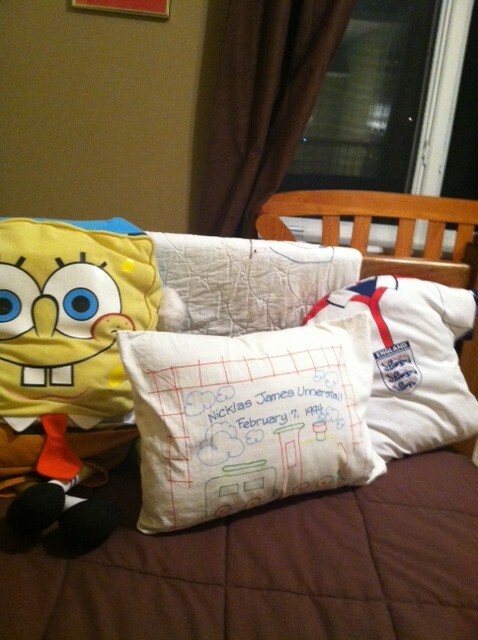 Nick follows suit when he gets home from school in his bedroom. It’s not just when the house gets cleaned. 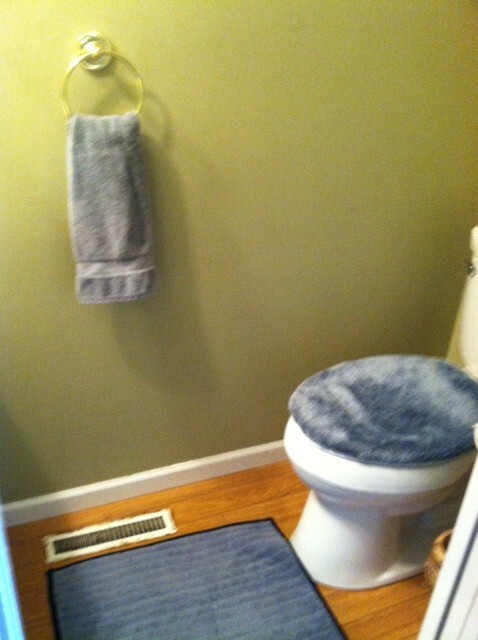 Recently I bought a new rug for the bathroom. Sometimes Nick’s “aim” is a bit off and I wanted to protect the wood floor. Nick will have nothing to do with that rug. 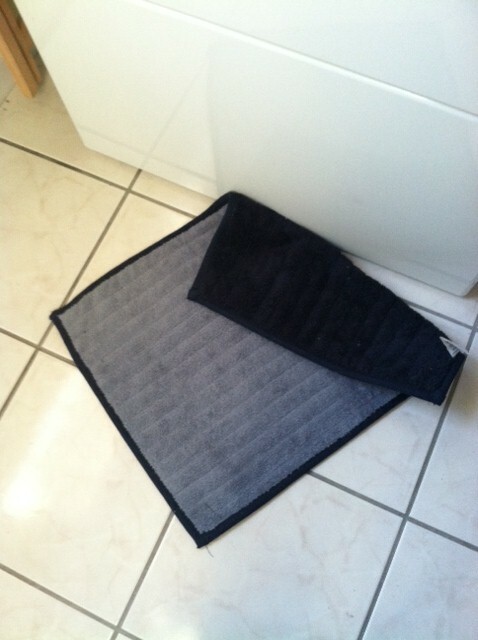 There has never been a rug in the before. Every single time he goes in there he takes it and throws it down in the laundry room. 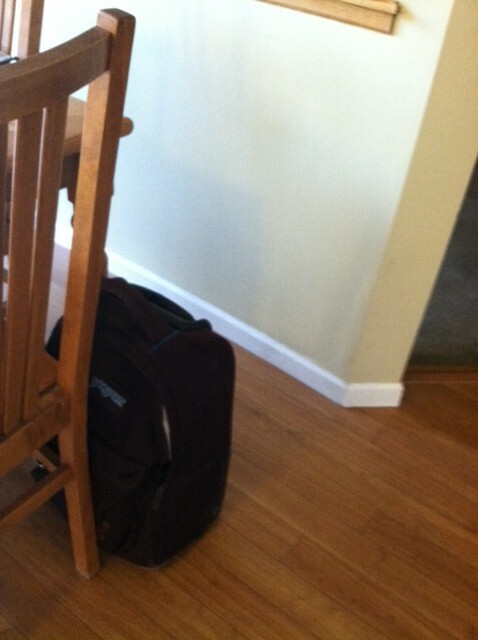 Where I put Nick’s backpack…. 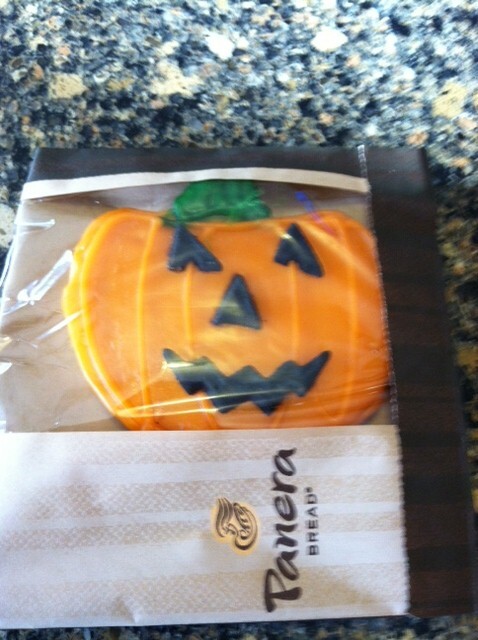 The cookie was not as good as I thought it would be. I took a few bites and threw the rest away. By the way why is the Board maker icon for the mall always pink? Nick and I entered Panera Bread. He was hesitant but tolerant as I placed my order. We proceeded through of the restaurant. That’s when he began to dig his heels in. I pointed to the visual task strip and reviewed the plan. He trudged as I lead him down to the counter full of heaving bowls of hot soup in bread bowls. Nick was noticeably agitated. His hand took ahold of my left jaw and clung on. I pulled myself into him to release the grasp while acting as if nothing was wrong. “Nick it’s okay, Mom’s sandwich, then Taco Bell.” He pinched his cheeks really hard and let out a few expletives. I shifted him away from the counter hugging him and praying they could make that sandwich as fast as Jimmy Johns. It was no use. Nick was beyond reason as he clawed at my cheek gouging into my skin. I could feel a sting as I pulled him closer to me trying to give him a deep pressure hug. It was a last ditch effort to calm him. Finally the order was ready and I said, “Nick look, Mom’s sandwich….all done, Taco Bell.” While I made no eye contact, I could feel the patrons glaring at us as we walked out. Outside in the atrium I grabbed my sore jaw that had been sucker punched. I took my hand away I saw that it was covered in blood. No wonder they seemed to be staring more than usual. There it is a snapshot of autism. Not a pretty picture is it? In a perfect universe Nick’s world would run the way he sees fit and everything would be in its rightful place. He needs to feel in control and the order and sameness gives him that. But that’s not how the world works. I have to prepare him for things to be different. Yesterday didn’t work out so well. He perceived the walk into the bowels of Panera to mean that we were staying there. So I will have to go back to the drawing board and rethink how I want to approach it next time…..or just eat Taco Bell 🙂 It’s a complex puzzle and sometimes the pieces just don’t fit. That’s what is in my noggin. Cheers to a smooth week ahead. Until next Monday may all of your *knick-knacks stay in a row to your liking! 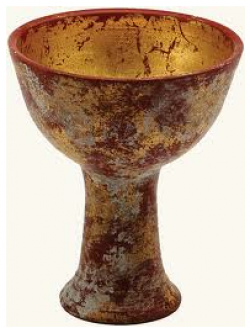 *Knick-knack According to the Phrase Finder means a dainty little trinket or ornament. Knick doesn’t mean anything in itself in this term; it is merely a reduplication of knack. We now use knack as meaning ‘a dexterous facility’, but in the 16th century it was used to mean ‘an ingenious contrivance; a toy or trinket’, and that’s the sense that was used in knick-knack. 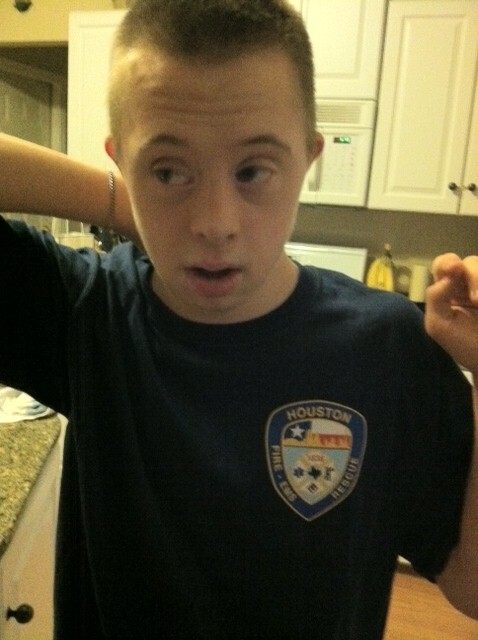 Blog #26~ Down Syndrome Awareness Month! 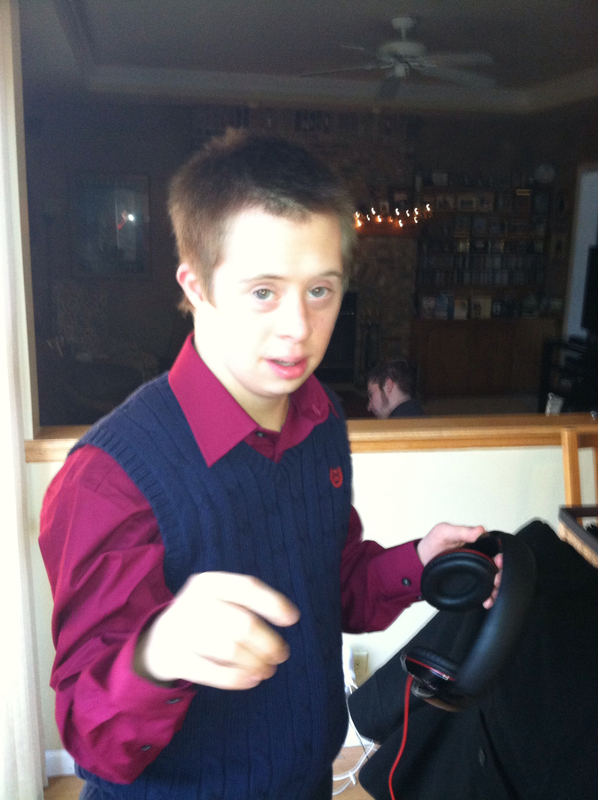 Blog #26~ October is Down Syndrome Awareness Month! 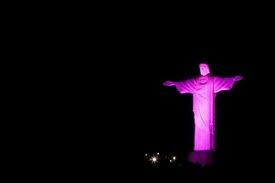 Each October everything turns pink for breast cancer awareness. Even the NFL players and referees wear pink. Everything is illuminated including the Tower of London, The White House, Eiffel Tower, Empire State Building and even Rio’s iconic Christ the Redeemer statue is glowing pink. 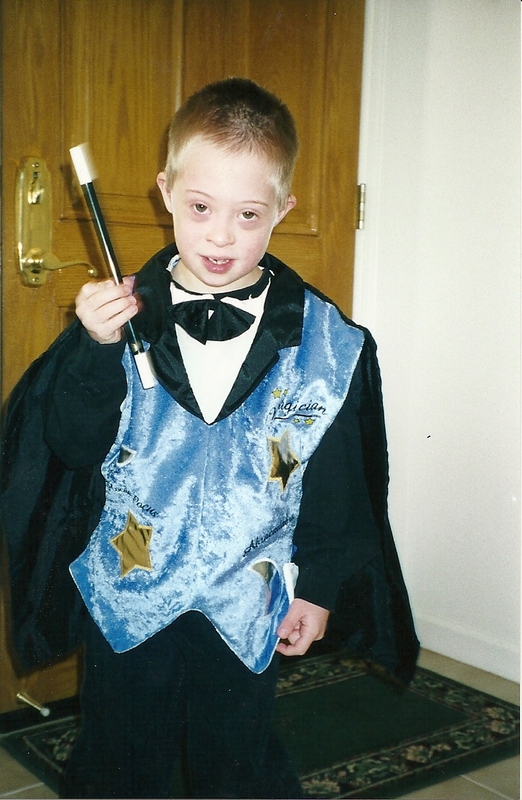 There are three types of Down syndrome: trisomy 21 (nondisjunction) accounts for 95% of cases, translocation accounts for about 4% and mosaicism accounts for about 1%. Since this is about awareness, it is important to educate people on the appropriate language that should be used. 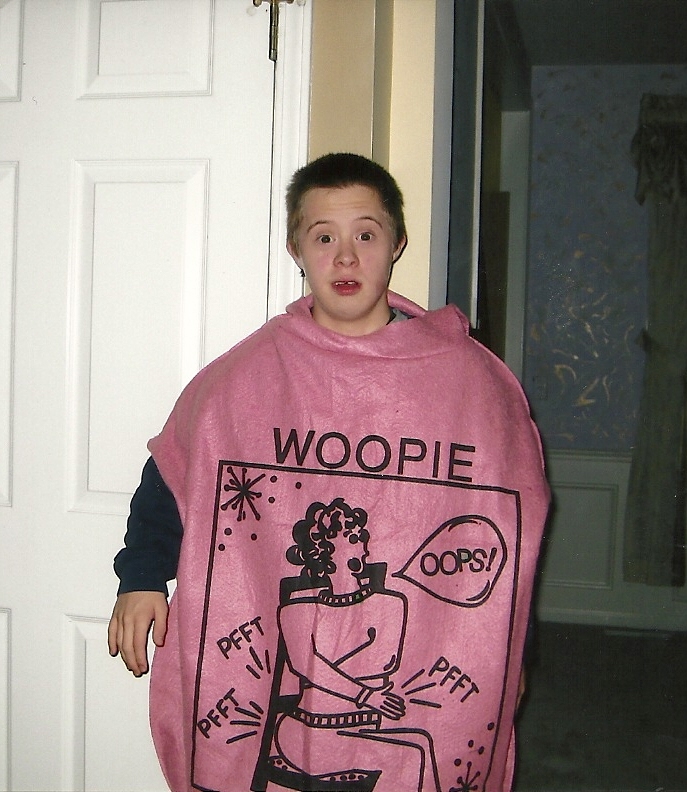 People with Down syndrome should always be referred to as people first. 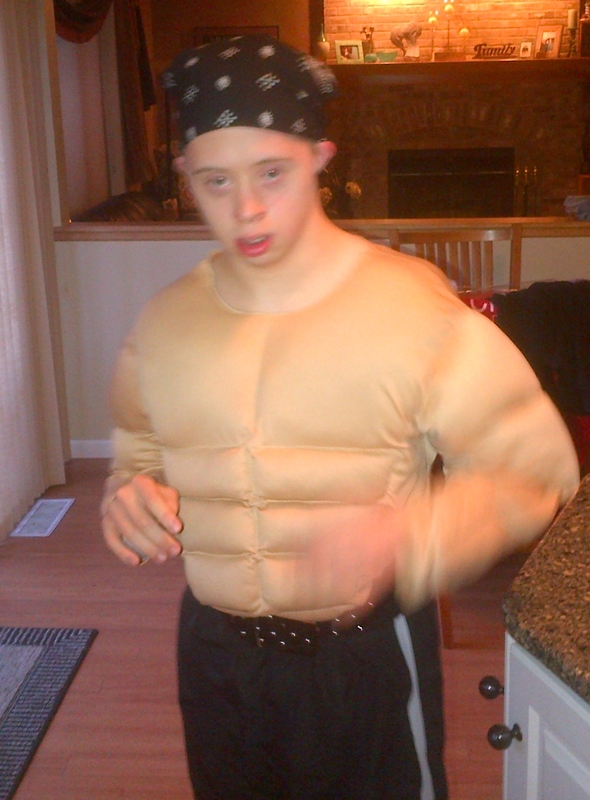 Do not say- “a Down syndrome child.” Instead say, “a child with Down syndrome.” Here are three more improper phrases to avoid are “Down’s child” and describing the condition as “Down’s,” as in, “He has Down’s.” Finally it should be said “Down” and not “Down’s.” Down syndrome is named for the English physician John Langdon Down, who characterized the condition, but did not have it. * NDSS Buddy Walks take place all over the country raising over 11 million to support local and national programs. *Times Square jumbotron kicks off with a special Down syndrome awareness video. Their website is at www.ndss.org. 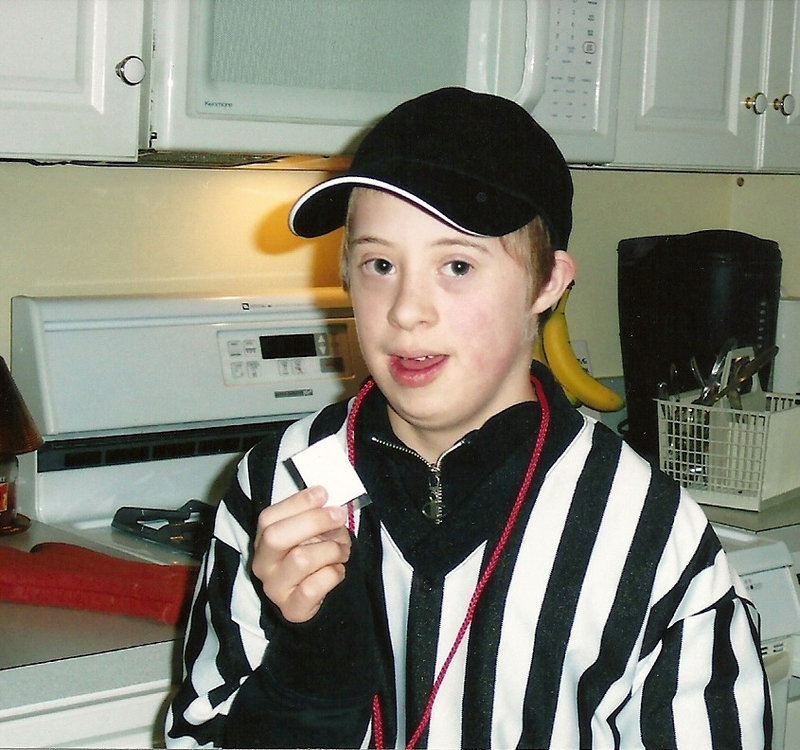 *The National Down Syndrome Congress (NDSC) sponsors their campaign called, “More Alike than Different.” Check out their website at www.ndsccenter.org. 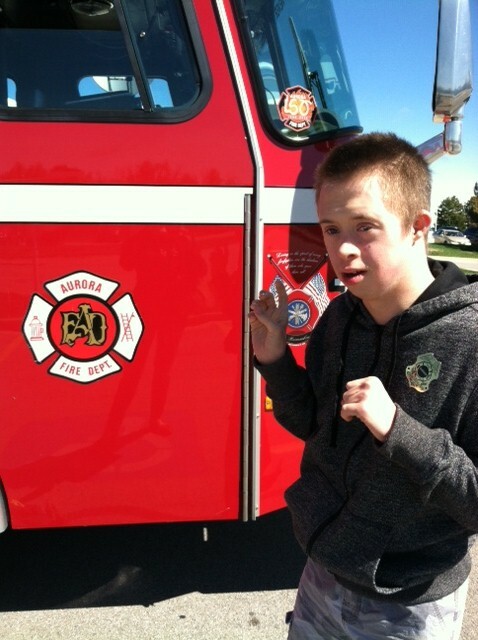 *Here in the Chicagoland area, the National Association for Down Syndrome (NADS) provides bookmarks and posters that can be distributed in the community to schools, libraries, book stores and businesses. This group is based in Chicago. For more information go to www.nads.org. *GiGi’s Playhouse is another wonderful group that started in the suburbs of Chicago and has grown to expand around the country. GiGi’s Playhouses are Down syndrome awareness and educational centers that provide resources, specialized teaching, and support to individuals with Down syndrome, their families and the community. They have a wonderful calendar and notecards available for purchase. More information is at www.gigisplayhouse.org. *One of my favorite websites is www.noahsdad.com. Noah is the cutest thing and his dad does a superior job of presenting his son in a positive light. 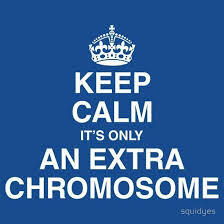 I hope this week provided some further insight and information about Down syndrome. That’s what is in my noggin this week. Most of us have been affected with or by breast cancer in some way. 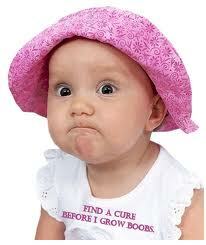 I hope this month raises awareness and more funding for breast cancer and Down syndrome. 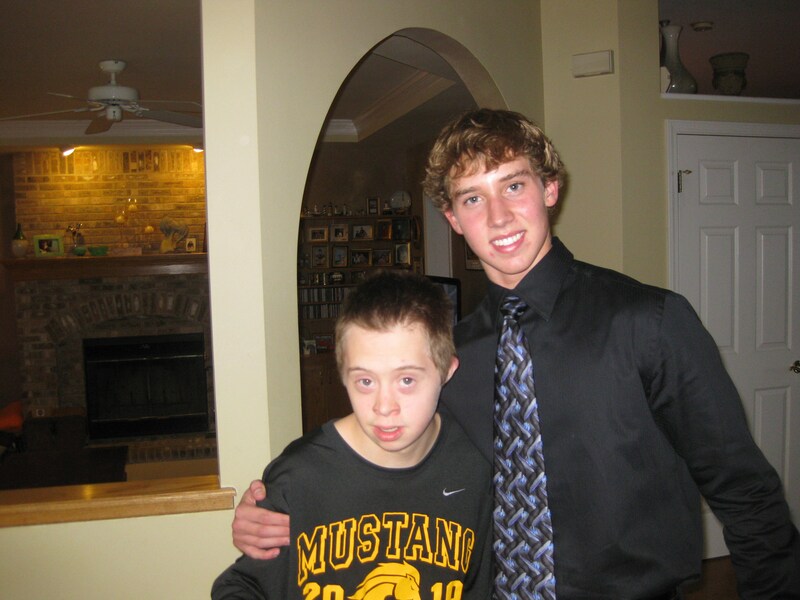 I would love to hear how a person with Down syndrome has touched your life. 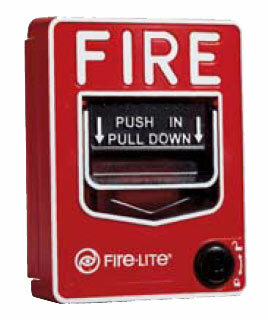 Blog #25~ About those 25 fire alarm pulls…. It seemed fitting for Blog #25 that I expand on the 25 fire alarm pulls that Nick has craftily gotten a hold of since third grade. I touched upon this a bit in Blog #10~Nano second which chronicled a week of Nick’s charades of wreaking havoc. Most of the pulls have occurred in the school setting. While it clearly states in his IEP to both cover and carefully monitor Nick around all fire alarms this still hasn’t stopped him. By the way, just because an alarm is covered doesn’t mean he won’t try and lift it up. But at least the cover will buy you a few extra seconds. Most of the questions I get have been these…. Why is he so drawn to them? How can he be so fast? 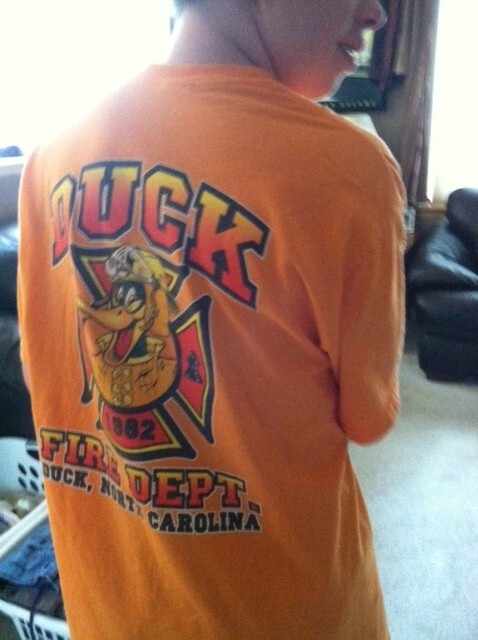 And finally…How does the fire department and staff react once he pulls one? The last alarm he pulled was exactly a year ago. Interesting how he can smell fresh blood and that is when he makes his attack. Anyone new just starting to work with him will most likely go down. I spoke to the new school aid that had fallen victim to #25 when I dropped Nick off at the Halloween dance last year. He was still beating himself up felt mortified…….Poor guy. He is fast! The last time he got me was three years ago at Dominick’s. (Just so you know he has only got me twice. Al has yet to get caught but he was almost burned by Nick in a very packed Houston-IAH Airport the day after Christmas. The alarms are painted silver, whut? Nick grazed it but his Dad was able to swipe his hand away.) So, back to Dominick’s….. In my defense it wasn’t the usual one I shopped at plus I was wearing one of those bulky therapy boots on my right foot which had suffered a plantar fasciitis tear. Minutes before this happened Nick was carefully taking the items out of the grocery cart and placing them on the conveyer belt. The cashier smiled and gave a compliment on what a good helper he was. I always have Nick push the cart so he is occupied while in the store. That’s when it happened. Suddenly, he stopped, released his hands and made a beeline to one. I hobbled behind him and made a last ditch leap stretching my arm like a defensive back trying to block a touchdown pass. “Nooooo Nick!” But it was too late. His fingers clutched the switch just as my hand touched his wrist. What followed were flashes of lights and an earsplitting sound that could break glass. All of the patrons stopped and cover their ears. I glanced over at the courtesy booth and saw the store manager throw his hands in the air and shake his head. All I could do was shrug my shoulders and mouth one word “sorry” as I pointed down at the offender. Nick was frozen in a trance like state; his eyes as big as saucers. While he stood motionless; his whole body was trembling. I knew I had to get him out of there fast as the excitement was fueling him like a crack head junkie. The rain was falling on that cool autumn afternoon as we made our way to the car. I got him belted in, put the grocery bags in the back and waited for the fire truck. You see, even if it is a false alarm the firemen still have to come and investigate. As Aurora’s finest came blazing in, I limped across the parking lot, drenched from the rain to make my apologies. I saw two firefighters entered the store no doubt to deal with the scene. Sheepishly I spoke to the other two who waited in the truck. 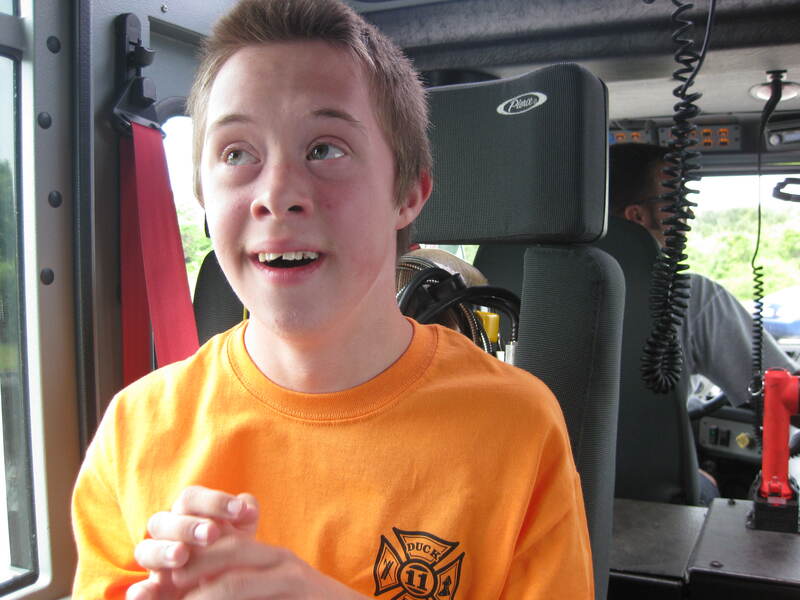 I explained that Nick had Down syndrome and autism and a passion for pulling alarms. They didn’t say a whole lot but seemed to understand. Over the years I have asked various fire fighters about someone like Nick who gets a charge out of pulling alarms. Most of them hardly blink an eye. Last weekend while Nick was helping with a fundraiser for the Peer Buddies program a few of Aurora’s Fire Fighters stopped to give a donation. 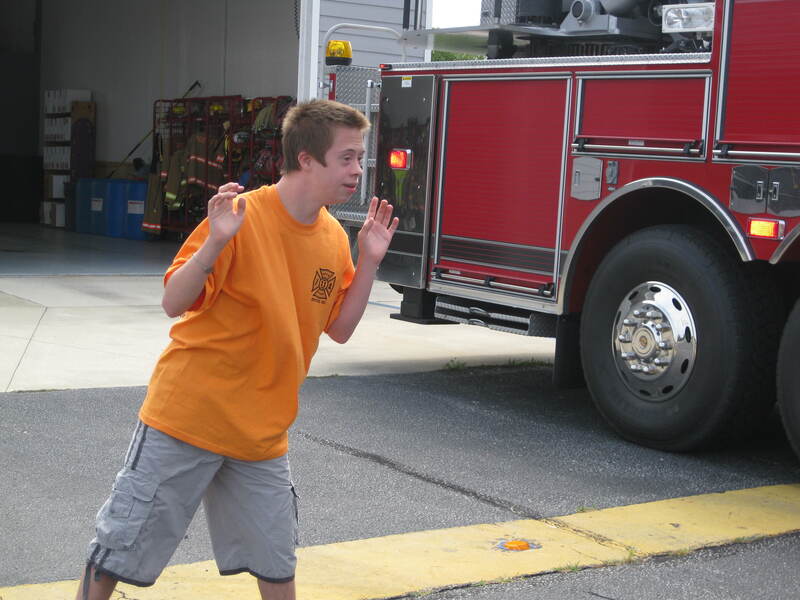 Nick helping out with the siren testing at the Duck, NC Fire Department……. 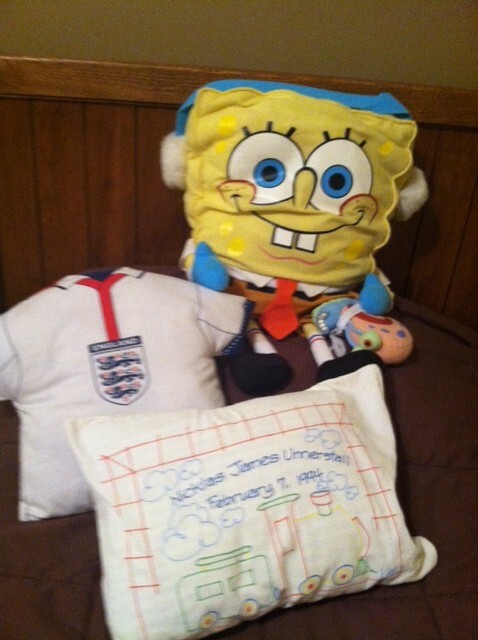 Nick collection of tee shirts….. Thanks to my friend Veleen for sending Nick this one….. 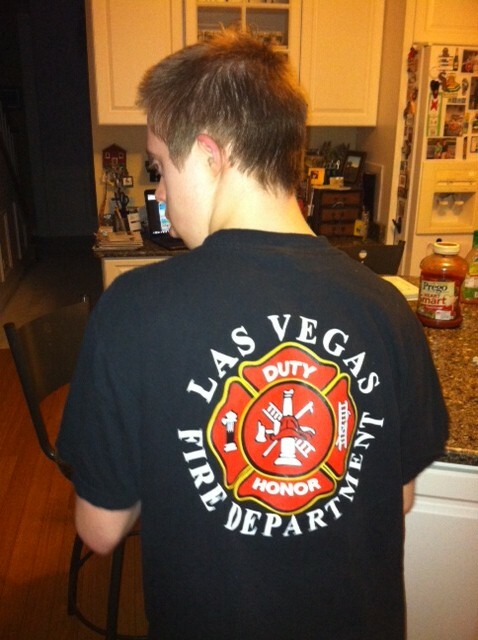 So, here’s to the brave and kind *fire fighters! That’s what is in my noggin this week. Until next Monday why don’t you take a look around at all the alarms in the community? I bet you’ll see how accessible they are and think….Gosh Nick could get that easily…..and smile. 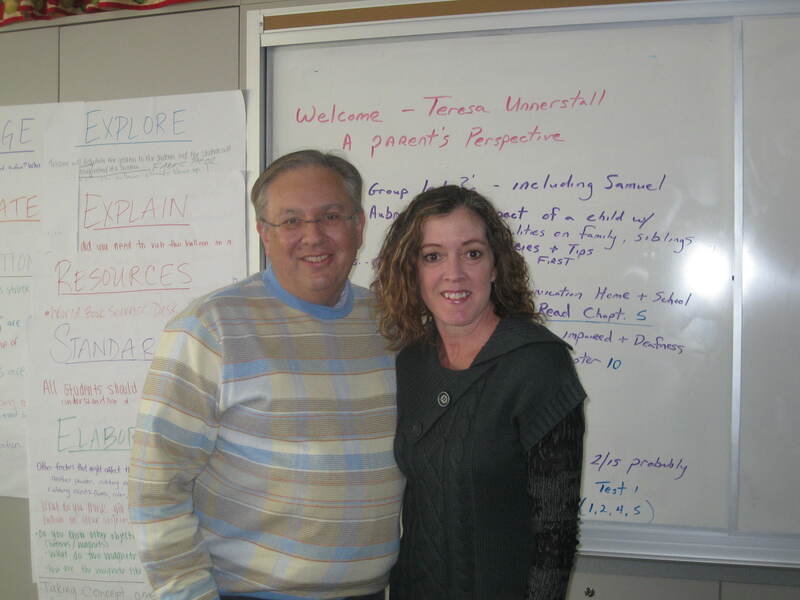 This weekend I was prepping for a lecture called “A Parent Perspective” which I do at Aurora University. For this semester there are two classes one undergrad and a graduate student class all who are/ or planning to become teachers. Since Nick is a senior in high school I decided to include a top ten list of some things I have figured out over the years. While compiling this list I couldn’t help but think back to those early days. I was a novice and such a chicken when it came to IEP meetings. I have a degree in teaching secondary education (Kinesiology and Health) but very little experience teaching special education. I took a class similar to the one I am lecturing while at The University of Texas. It gave a broad brush of special education and included an internship in a self- contained classroom and gym class. Beyond this I knew very little on how to take the helm and steer these uncharted waters. Aurora University working with Elliott who leads the classes…. 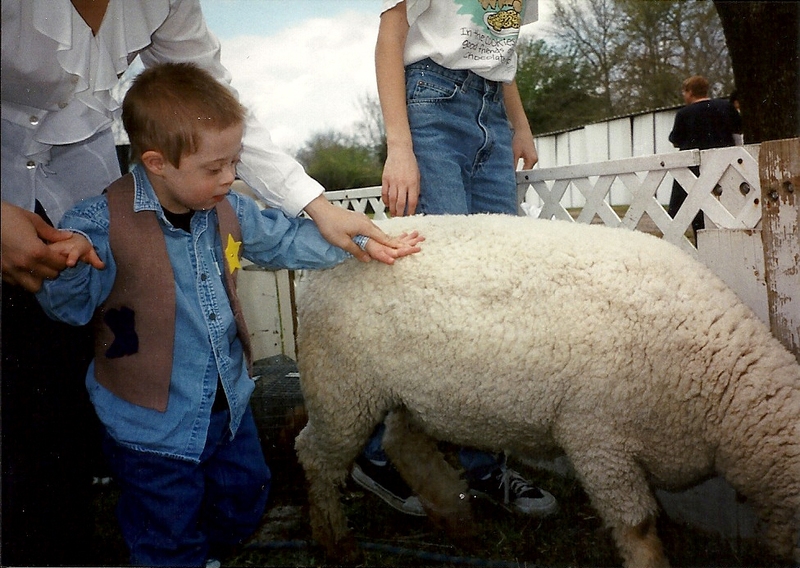 The early intervention program was easy (birth-three years old.) The staff was nurturing and it was a *can of corn. Once the cord was cut Nick entered the early childhood/ pre-school program things were more serious and the meetings took on a different tone. 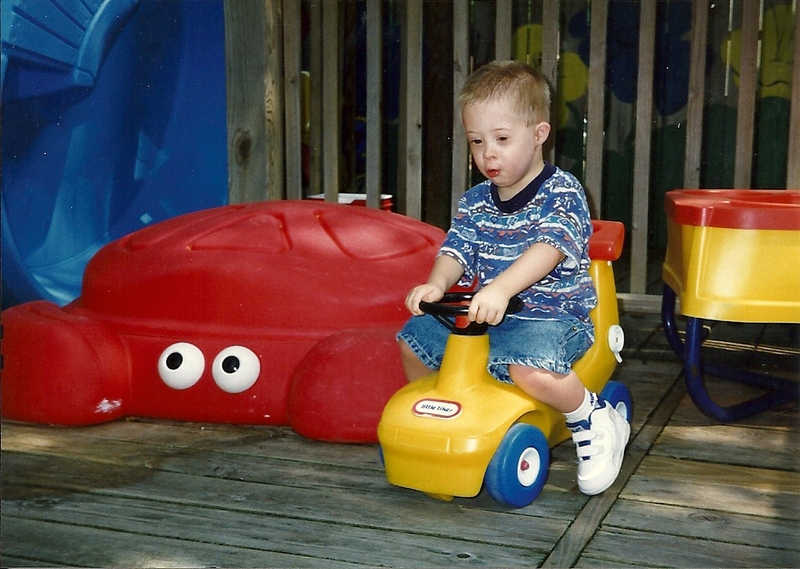 Because Nick had very low muscle tone (a trait of Down syndrome see blog #7 Mama Mia, for more information on DS traits) he was delayed in gross motor activities. He didn’t walk until age 3 ½ nor eat solid foods. At age three during the transition from early intervention to early childhood/pre-school I enlisted a private speech therapist who specialized in feeding. Amazing how one person can impact your life. Pam opened up my eyes. She got me thinking outside the box. She also worked at a private school in Houston and suggested we look at putting Nick there. The private school called The Arbor School had one opening three days a week. It was an oasis, this all-inclusive resort with all of the speech, occupational and physical therapy right on campus working together. They got their hands on Nick and worked magic. Nick attended The Arbor School three days a week and the public preschool program the other two days. When the IEP came around at the public school, the whole Arbor School team came. Our entourage sat down and matter of fact like made sure every attention to detail was addressed. I was stunned. What you can actually assert for yourself and get all kinds of services, equipment and therapy hours, I had no idea. Nick at the Arbor School….. In California when Nick was in first grade I found my concerns of his need for a communication system going on deaf ears. 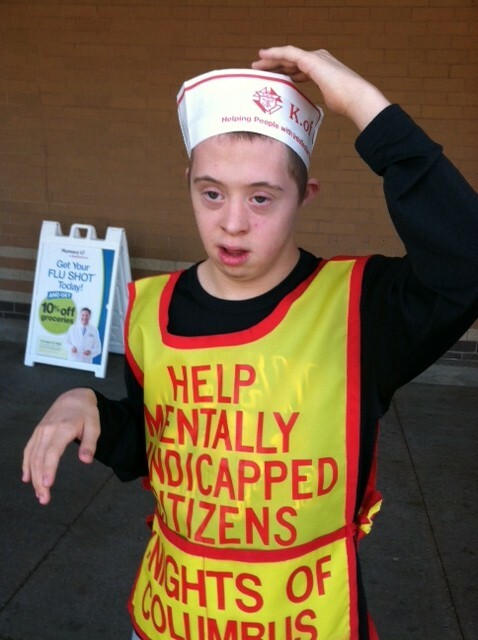 I brought in the Director of the Down Syndrome Connection support group. The entire staff sat up straight as she advocated for my son. 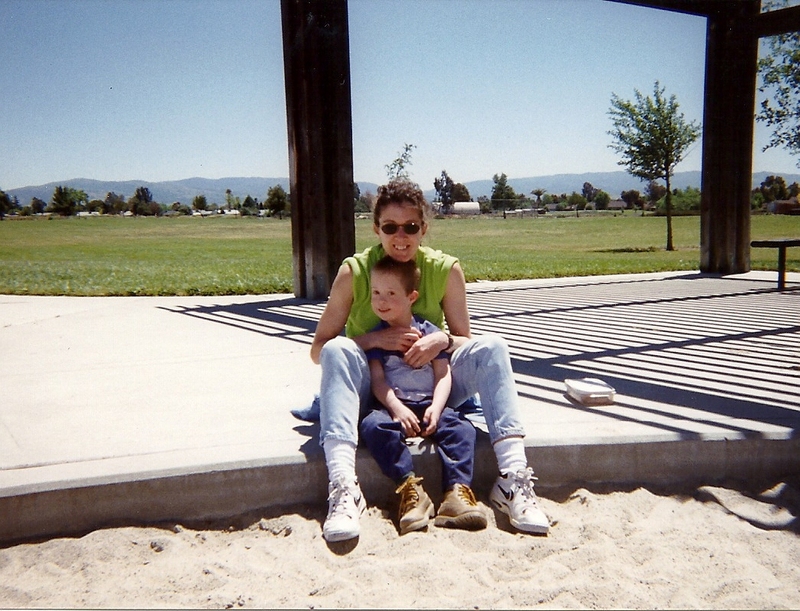 Nick and I in Livermore, California…..
Much the same in middle school I enlisted the help from Little Friends Center for Autism. I can’t say enough about the Arbor School, The Down Syndrome Connection and Little Friends. What a gift they gave me as they showed me how to become an advocate for Nick. Meet with the support teacher to discuss goals for the following year. Request all goals and reports from each department for review before the IEP meeting. I am not a bad parent because my child won’t keep gloves on/ or has a meltdown in school. Sometimes the parent has to be the one to rattle the cage. Know your rights, Read Wrightslaw. doesn’t get better. There is always a better way. Sometimes as a parent you have to let go of your own dreams for your child so they can move down a different path. 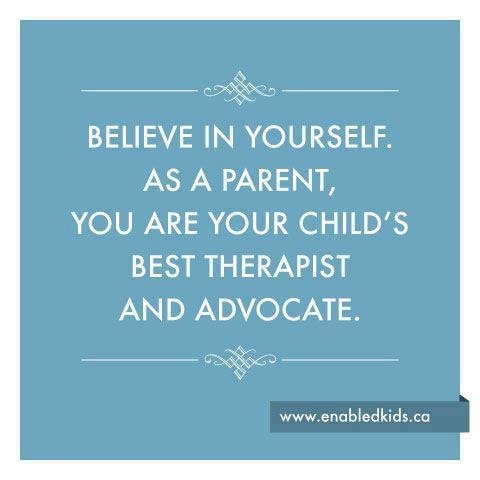 The parent is the biggest advocate for their child with special needs, trust in that. Bringing support into IEP meeting does give a parent confidence. But in most IEP’s my hand has been on the helm. What I know for certain is that communication lines have to stay open. I also learned to quit beating myself up because Nick had meltdowns (now we know that he was powerless because he couldn’t communicate his needs and it is not my bad parenting.) Once the autism diagnosis was given, I had to reach out for help get more training and arm myself to fight the big fight. I quit settling with the school staff and learned that I had to ask for more to help my son thrive. I wasn’t being a bitchy mom; I approached the problems in a matter of fact, but firm manner. And sometimes that means I have to be the one to rattle the cage to obtain services to support my son. In addition, I found that just because I have a dream for Nick doesn’t mean he can fulfill it. Facing the fork in the road that separated him from an academic curriculum to a functional curriculum enabled Nick to focus on what he was meant to do. Hello T, he just isn’t ever going to write his name, let go of that academic goal. So here we are, Nick’s senior year and after riding some rough waves now the seas are relatively calm. We survived and came out on the other side much wiser and stronger. That’s what is in my noggin this week. Until next week, I hope yours will be a *can of corn. * According to Wiki Answers: The term “Can of Corn” is a phrase used to describe a softly hit baseball as it could easily be caught. The term originated as a customer would ask a grocery clerk for a can of corn the store clerk would grab a can from the top of a stack of cans, and would softly toss the can down to be caught without harm.